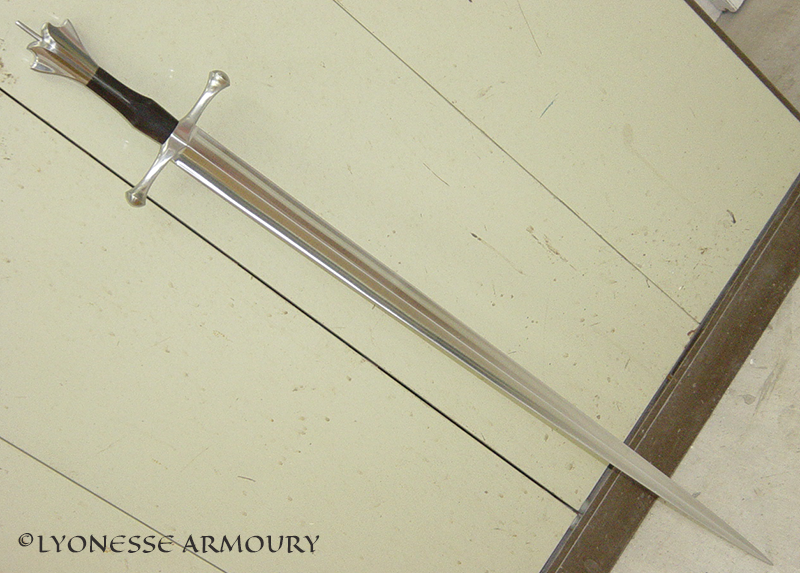 This is a replica of an original sword, described in Ewart Oakeshott’s Records of the Medieval Sword. It is a long, elegant sword, beautifully proportioned as many of the best medieval swords were, and datable to c.1440-1460. The original had a gilt iron pommel and gilt copper cross, but my replica is all steel – spring steel for the blade, mild steel for the cross and pommel. 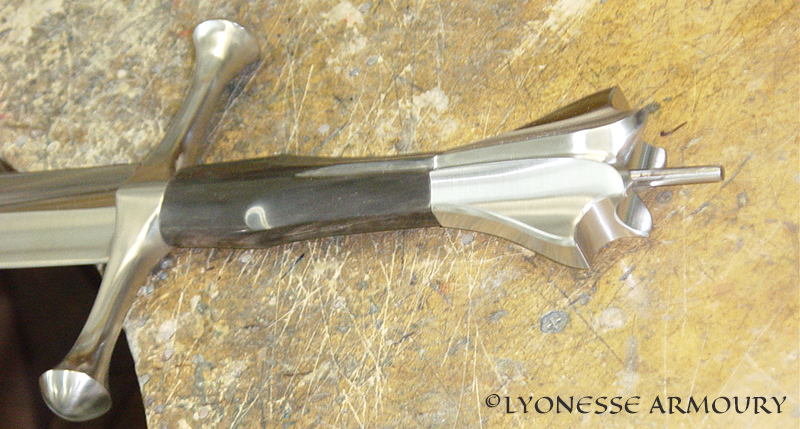 The grip of the replica is the same as the original – black cow horn. The blade is fairly long for a one handed sword at 88.3cm (34.75”) and overall length of 1050mm (41.4”), but the form of the blade makes it lighter than it appears. 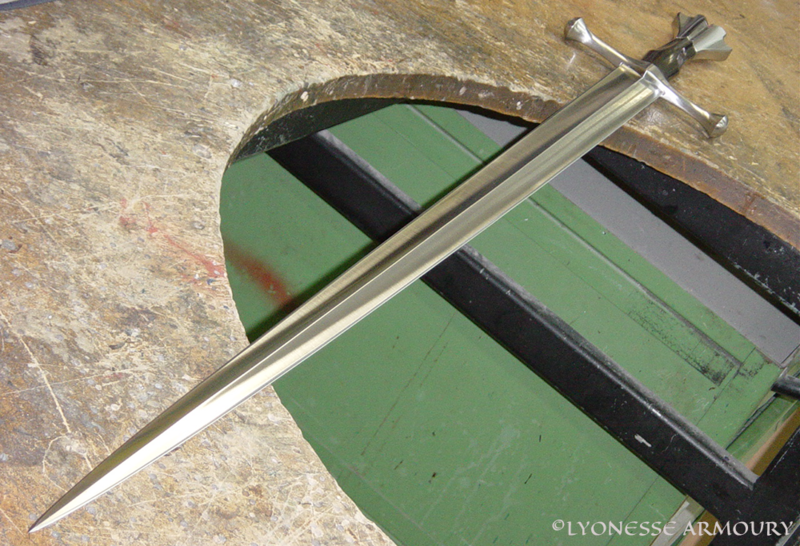 The blade tapers very little near the hilt but then curves gently to a fine point that gives reach without excess weight, and creates a stiff blade ideal for cut-and-thrust combat. My replica came in at 1205 grams (2lb 10.5oz.) and balanced 80mm (3”) along the blade, making it light and fast despite the good reach.